OWH Stars and Stamps (Our OLD blog! ): Sketch Challenge #100! This looks so fun, can't wait until I can play with it! What an awesome sample card!!! Adorable card! I love the artisan shape stamped like the background and then popped up! And the clouds! And the twine! Great sketch, I can't wait to try it!! 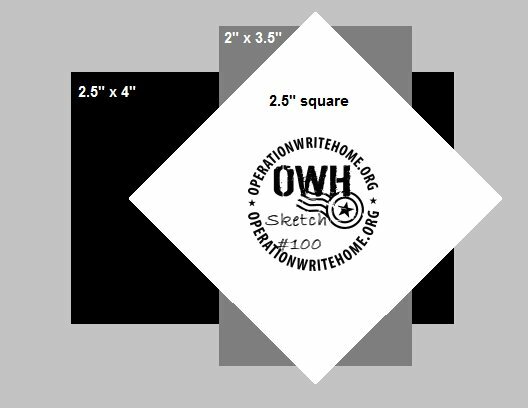 Hooray for OWH on Sketch #100! Just love the sample card, the new Hero Arts stamp set and the sharp new look of the Stars & Stamps Blog! I like the new look. CAS is easier to read. Beautiful sample card and a really fun sketch too! Can hardly believe this is # 100! Congrats!! Looks to be an awesome sketch. What a great card from Kelly. Love HA's stamps. So cool of them to partner with OWH and create such a great trio of stamp sets. Can't wait to get them!! Congrats on 100 sketches!! I love Kelly's card, and how the twine separates the dp while coordinating with the faux stitching! What a great look! Speaking of great looks, the re-vamped blog looks amazing!! I love it!! What a fabulous card! I think this is one set, I still MUST add to my wish list! It's perfect and I LOVE it!! I'm also very excited to be using SKETCH #100!! Yippee!! Beautiful fun card, love the twine used too! Thanks for sharing it with us. Lets see some wonderful cards, this week. What a gorgeous sample! I just bought this set...time to ink it up!